Disclosure: I was sent the following mattress from Naturepedic for review. All opinions are 100% my own! A must have with a baby/toddler is a great mattress. I will admit that I am guilty of co-sleeping and breaking that habit is a difficult one. I am certain that my children like the softer mattresses and the Naturepedic Ultra 2 in 1 Organic Cotton mattress was the perfect fit. It has a firm softer side for the infant stage that features easy-to-clean 100% polyethylene waterproof surface. However, since Mason is now a full fledge toddler, the softer toddler side is perfect. You can see from the onset how fluffy and inviting the toddler side is. It features a luxurious quilted organic fabric that just screams "Lay down and dream". This side is not waterproof but you can easily remedy this by purchasing the waterproof organic protector pad from Naturepedic. This is fine for us because I haven't started potty training Mason. The organic crib mattress ($379 + free shipping) is filled with lovely organic cotton. The corners are square for a snug fit in the crib or a toddler bed. 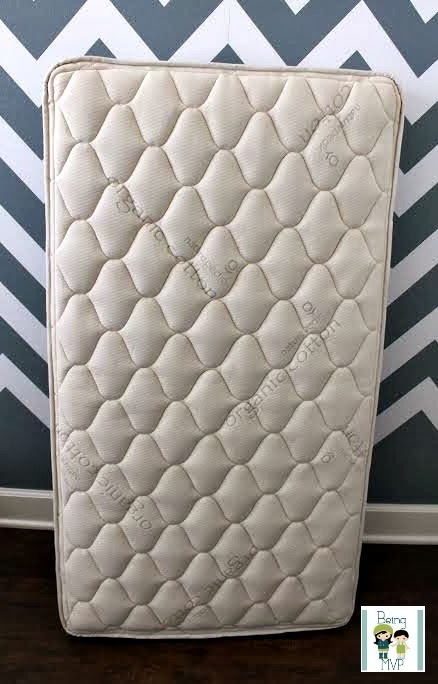 I like how the edges are firm and solid while the actual toddler side of the mattress is super soft yet supportive for my Mason. 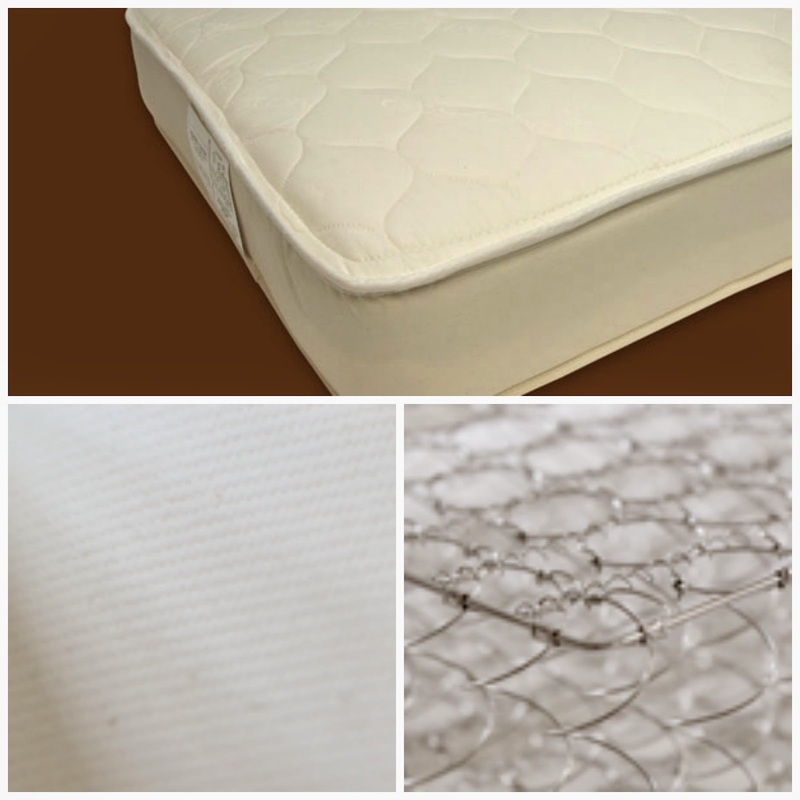 The materials used for this organic mattress are certified by the OTCO to the Global Organic Textile Standard as well as the finished product. This means that it is a healthy, non-toxic product. All Naturepedic products are tested for chemical emissions and certified according to the most stringent GREENGUARD® "select" certification standards. You have the security of knowing that your baby is safe with this organic crib during their most precious sleep time. There are so many things to worry about so make sure your baby has a safe sleeping space with a Naturepedic mattress. Mason is sleeping soundly on his new Naturepedic mattress and I am a thrilled mama. Due to the built-in dust mite/bed bug barrier and no wool or latex used, this hypoallergenic design is great for wee ones. Kenzie gets jealous at times and lays on Mason's mattress giving him no room! I think she needs to upgrade to a twin/full size bed soon. Naturepedic offers a lifetime limited warranty on their USA made products. How awesome is that? Although I'm sure you will never need to place a claim, rest assured that you are in good hands if something ever occurs. 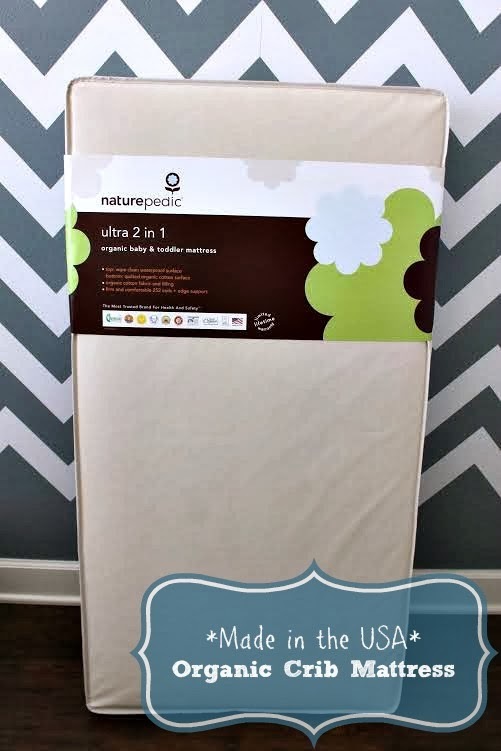 One winner will Receive a Naturepedic 2 in 1 Ultra Quilted Crib Mattress! I just have a standard..annoying "plastic" feel crib mattress! My son would love this a lot better I'm sure. I also have a little boy named Mason! I like that it has a lifetime warrante as well! thats when you know the products are really good! We are due with baby #4 in July. However, we tossed the old crib mattress. it was 7 years old, from walmart, $70 of all cold plastic and rips. Our household is going green and more organic. And a soft crib mattress for baby would be a blessing!! this is where a baby spends most of his time and breathing in chemiclas or bad stuff is not good, it is best to have an organic mattress just like this! I think a mattress should last my newborn through his toddler years. Naturepedic uses quality materials, unlike some other crib brands whose products warp over time. I feel that a Naturepedic mattress would be providing my child with the best, and I like the durability and heavy weight of the product as well. No worries with Naturepedic! I would love to win this because my baby is due in a few months, I don't have a crib mattress yet, and this looks like a great one! I've just recently been learning more about dangerous chemicals in mattresses, and Naturepedic sounds like the perfect mattress to give my baby a safe and comfy sleep. I also love that it's basically two mattresses in one! We are using an old hand me down for our little one. this is one of the best brands and i al always hearing about them! They are rated the best in safety and econess! I would love this crib mattress for my friend who is having a baby in April. Thanks! I love that it's chemical free and we need a new mattress for baby number two!! It would be great to switch out our older mattress for baby number three & that its all organic is a great plus! I want the Naturepedic crib mattress, because we don't have one yet (so it would be nice, not to have to buy one). Also, I love that there are 2 sides, which increases the longevity of the product! Baby spends so much time sleeping on a mattress those first years and would love to switch over to using organic as much as possible! With our first baby on the way in a month, I'd love to have the cleanest, best, mattress for him to sleep on. I also love that it's two-sided so you can keep using it as your little one grows from a babe into a toddler. My baby loves sleeping, would be awesome for her to sleep on an organic mattress. with baby #2 on the way next month we could so use this! I love that it has 2 sides! I like the built-in dust mite/bed bug barrier since my family tends to get dust allergies. Because mattresses have been known to have nasty ingredients. My boys wear organic pajamas. .. they should sleep on organic mattresses too. I would love to win this for my daughter who is expecting a baby in September. I love that this mattress is organic and has a side specifically for infants and the other for toddlers. I would love this mattress because I have a baby due in a few months and I think this would be great for in her crib! I would really love to own a Naturepedic mattress because I truly believe it's the healthiest and safest bed my baby can sleep on. I love that it's made of organic products and it's also made in America. I also think it's fantastic that this is double sided for infants and toddlers too! I want my baby to have the best of the best. That is why we stick to the organic. Would love to win this for my little guy - he is sleeping on a 5 year old mattress that has been jumped on lots by big brothers :) Would love a new one! I would like to win one because my son needs a new crib mattress. Thanks so much for the fantastic giveaway! I would love to win because we don't have a crib mattress yet. I love that this mattress is chemical free! We are expecting baby #3 in March and could really use this. Thanks for the chance! I don't yet have a mattress for my new grandson. I have the crib, just have not yet gotten the mattress, and getting one that is chemical free would be a bonus. Thanks.! I'd like to win one for my toddler to sleep on. We have a naturpedic mattress set aside for baby #2 in may, but i'd love for both kids to have one so i could rest easy about their sleeping areas being chemical free. Chemical free!! For so many other reason but ultimately this is the best of the best! We have this mattress for our son and it's absolutely fabulous. I would love to win this for my sister who is due soon! This mattress definitely gives me great peace of mind that my son is safely sleeping on something where he wasn't smelling VOC's all night long. This would be fab for my son.. its chemical free and organic.. all the qualities for a new mattress! We're expecting baby #2 so I would love to win safe and organic mattress for our baby. Thank you for the chance. I like that it is organic because we are expecting in April. I like that it has a firm side for infants and a soft side for toddlers. I'd love an organic mattress from naturpedic because i'm sure the mattress's we have now have so many chemicals that aren't safe. I love that it has a side for infants and newborns as well! I am having baby #4 in August so having a good quality crib mattress would be wonderful! I would love the mattress because it's organic, and it's waterproof! I'm totally starting over on the baby gear for baby #3. I love this one because it's organic & waterproof! I would love to have this mattress for baby number 2! Would love an organic mattress for my baby boy! Because I would know it's safe for baby and not have to worry about all the chemicals and garbage some other mattresses have in them which could be toxic. My baby needs a mattress needs a mattress and this looks like the best one - organic, waterproof and 2-sided! My sister is expecting her first baby and this mattress looks like it would be perfect. I love that its organic and waterproof. A crib mattress is used so often - it'd be great to be able to have an organic one! I would love to have this cause My nephew has allergies and needs an organic sheet set. I'd love to win this for my baby because my 2 year old was diagnosed with severe eczema and then allergies at 15 months and my baby has started showing signs of the same eczema. The crib is where a baby spends a lot of time, it would be great for baby #2 due in april. Love that the mattress is organic, baby spends a lot of time on a mattress. Would love to have that be a positive experience! I have a hand me down crib but didn't want to use the mattress it came with. my boy is also quite a light sleeper and I'm hoping a great mattress can help like it does for adults. I love the organic aspect of this mattress. I use mostly organic products when possible and this is something that my granddaughter will have contact with on a daily basis. I would love to win this because of the baby I am expecting. I love that this is made without the dangerous chemicals and products! Everyone in my family has allergies and sensitive skin, and I expect this new baby we're expecting will be the same. An organic, chemical-free mattress sounds perfect! I would love this as I am going to be getting a new grand baby in June. We just moved our daughter to a toddler bed and are using her old crib mattress on it so we need a new mattress for our son who is due in May! I would love this mattress for my son so I know at night hes not breathing in any harsh chemicals sleeping on an organic mattress. It also looks so comfy he would be in baby heaven! I would love this mattress for my son so I know hes not breathing in any harsh chemicals from sleeping on a non organic mattress. It also looks so comfy he would be in baby heaven! I am entering this for my Niece! Right now they are going to be using a used Mattress and I would feel so much better knowing that she is sleeping on a organic mattress that we know the history of. I know I'd love this mattress for our baby due in June. All natural and no harsh chemicals, sold! Weve got #2 due in a few weeks and dont have a mattress for her yet! i'd love to not worry about off gassing! these are wonderful products, but way out of my budget! i have a 9 month old and would love this! I would love to win this mattress. I try my absolute best to protect my family from toxins, pesticides, gmos and much more. I love that this mattress is organic cotton and will grow with baby. THANK YOU for the opportunity! I really love that there are the 2 different sides, it's great that you don't have to worry about chemicals or safety in that way. With #3 coming in June and 5 years between kiddos, I would love this crib mattress. Love the organic aspect of it! Because it is made with high quality organic materials. I would love to win this I only have a crib now and this would be great because it's organic! 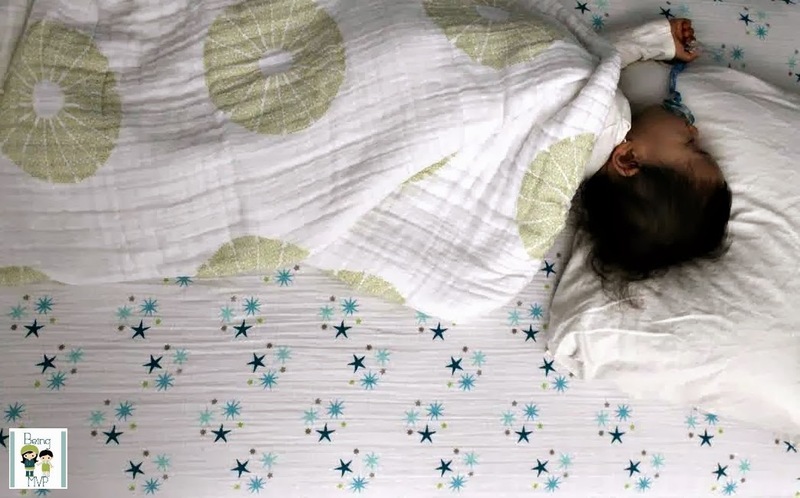 I want the mattress because it's so important for the baby to sleep on a chemical-free, toxic-free bed that won't expose their bodies to any harmful chemicals/toxins. I want one b/c we have an old hand me down mattress that is a bit worn. I would love to get a new one! I'd love to have an organic crib mattress for our fourth baby due this month. Our mattress has been used by three children already and a fresh one would be great, especially if it's organic. I want one because I want the best for my little ones and funds are limited! I think this would be great for my friends new baby. We are trying to go green with everything and this will be our first baby. We would love to have this! I would love this to give to my daughter who is due with her first child in June! I'd love this for my baby niece, sounds so soft & comfy!